Aymroo has been manufacturing PVC plumbing fittings in Australia, for the commercial and domestic markets, for over 20 years. From standard fabricated and moulded products to seemingly impossible one-off solutions, they’ve got it covered. 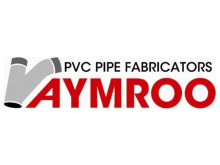 Since beginning operation Aymroo has been a key player in introducing new plumbing fittings to Australia and markets where AS/NZS Standards plumbing fittings and pipe are used; such as the PVC maintenance shaft system and plastic encapsulated step irons. As an ISO Quality Management System accredited and AS/NZS standards certified company, the quality of their products is always guaranteed. Knowing that plumbers often require a fitting yesterday, they stock the most comprehensive range of large bore moulded and fabricated PVC plumbing fittings for immediate dispatch. To further meet market needs, new and improved products are continually in development. In fact, it was in response to customer feedback that they decided to extend their range of fabricated fittings to include higher-quality moulded fittings. If you can imagine it, Aymroo can make it.